The application of iPSCs in regenerative therapy requires knowledge on several aspects. The production of clinical-level iPSCs requires quality check at various production levels. Autologous and allogeneic are two types of stem cell therapy, and it is vital in deciding which of these therapies a patient should undergo. Autologous therapy must be capable of dealing the dissimilarities in a patient with respect to age, gender as well as health. This dissimilarity will impact the quality and firmness, or the patient’s safety. Alternatively, allogeneic therapy provides completely well-qualified cell banks to demonstrate the therapeutic potential in various clinical disorders. Donors are expected to satisfy the exact qualifying conditions and should be conscious of the function and sample testing, where the samples were collected in the most righteous manner. Once the specimen cell is collected and cultured, a desirable reprogramming method has to be identified. 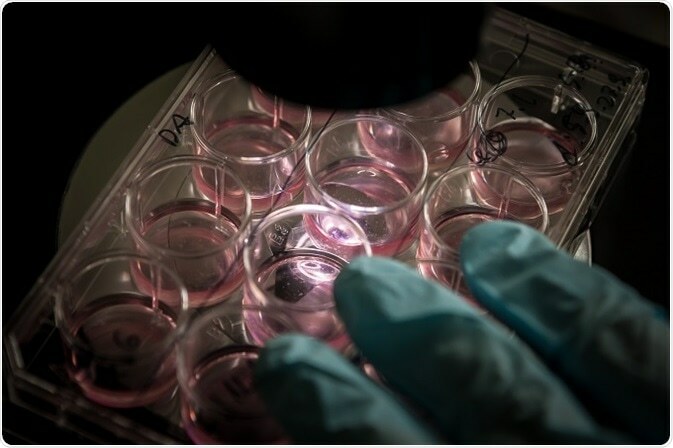 For the further confirmation of the capability in differentiating iPSCs, the efficacy of the cell type generation necessitated for the treatment should be decided. In order to test the performance of the generated cells, the anatomical characteristics of cell types differentiated from iPSCs are distinguished from the cell types produced from ESCs. The differences in the end product rely on the kind of the material originated, variations in the raw materials employed in culturing the cell, as well as the method adopted. Recognizing and regulating these are vital to optimize any production technique to manifest the quality of reproduction with uniform yield satisfying the conditions. Methods based on researches that involve manual process are not suitable for huge output. Quality check assessment for the final result and formulation steps also should be planned. Injecting fresh cells needs an efficient approach to find contamination. In situations if the patient has been provided with the product already, and then the sample get contaminated, there should be an alternative plan ready. The cell therapeutic finally satisfies all the necessary specifications, once when the quality test is completed. A cell bank should be introduced in Allogeneic therapies which would comprise the initial cell material as well as should undergo consistency test for that material. For autologous therapeutics, a small cell bank, rather than a large one, can help in recognizing and reducing the differences due to preliminary reprogramming. The colonies that meet the karyotype conditions, mycoplasma/fungal/ bacterial contaminate, marker expression, as well as growth characteristics, will be flourished to develop a bank. Also, further knowledge on post release dealing of the cell product is demanded. The final product must be treated as a model of therapeutic manipulated to clinical trials using humans. Preclinical reports of animals should cope with the cell product’s safety that comprise the impacts of the pollutants in the donor cell population, chances of forming a teratoma, and production of cells that are karyotypically unstable. It must be assured that the variations in the method related with the modifications in animal studies with respect to the production for scientific applications would cause no crucial issues. One method generation of iPSCs involves the use of vector systems that integrate with the host genome, which in turn raises the possibility of random integration, causing genetic aberration and teratoma formation. It is also possible that expression of the inserted transgenes may resume after differentiation of the iPSCs. Small molecules are used for reprogramming of somatic cells in iPSCs. It is not known whether the reprogramming factors are present in single vectors or in numerous vectors, and which of these have been used for generating iPSCs, and how much these contribute to the phenotype, genotype, and epigenome of the iPSCs produced. Such complications make it difficult to determine whether a given problem occurred because of the technology used or the reprogramming methods used or both. There are diseases where specific cell types have a certain phenotype and are myogenic, and it is very much possible to model these diseases using iPSCs; the attempt, however, becomes tough and complex role of genetic and epigenetic factors is unclear. It may not therefore be possible model to model every disease by using iPSCs; knowing whether a certain iPSC cell line differentiates to become the cell type of our interest us may have just have to be considered as an indication that it may serve our purpose—and this may not always be true. Paradoxically, altered expressions of the reprogramming factors used for iPSC generation are known to be involved in a number of disease states. Another point of concern revolves around what we know of iPSC cells.